We all have things we want to accomplish for others, and ourselves—but when we cut out time for work, appointments, and other interruptions, the precious time we have remaining is scarce. Effectiveness requires the integrity to act on your priorities. If we can manage this, the results are much more validating. True effectiveness leads to increased organization and productivity, fewer crises, a reputation for follow-through, more life balance, and peace of mind. It sounds like a lot of manage, but here is an analogy that can help you keep the right perspective. Contemplate the difference between a clock and a compass. What are their purposes? The clock represents your appointments, schedule, and activities – how you manage your time. 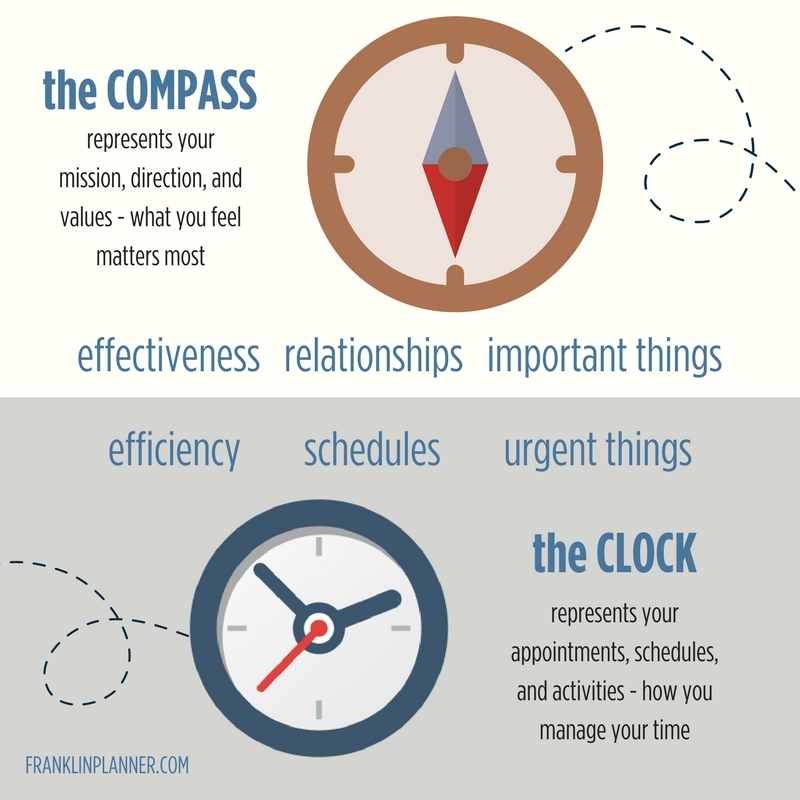 The compass represents your mission, direction, and values – what you feel matters most. Although they are both important tools, the compass must come before the clock, because where you’re headed is more important than how fast you’re getting there.